Press ‘Streetmap’ to view the map of shops in a particular shopping street. B&O Retail updates ‘Streetmap’ regularly. Press ‘Cities’ to view the shopping streets, if available, via ‘Streetview’. Shopping streets not yet shown will be available soon. ‘Filter’ allows you to select according to number of inhabitants and catchment area. ‘Cityindex’ shows the rating for a retail chain using a ‘bags’ symbol. Five ‘bags’ is the maximum rating. Under (i), each city is described generally, together with a description of the main shopping streets. ‘Properties’ shows a variable selection of available shops, and for immediate and current information by the B&O Retail consultant, press ‘Contact’. ‘Transactions’ shows the number of transactions supervised by B&O Retail. 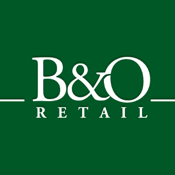 To contact B&O Retail straight away and view its contact details, press ‘Contact’. B&O Retail is regarded as a leading consultant in retail. Since 1995 it has been advising national and international retail chains as well as private and institutional investors with retail transactions in the main shopping streets in the Netherlands.